No two dolls are the same. 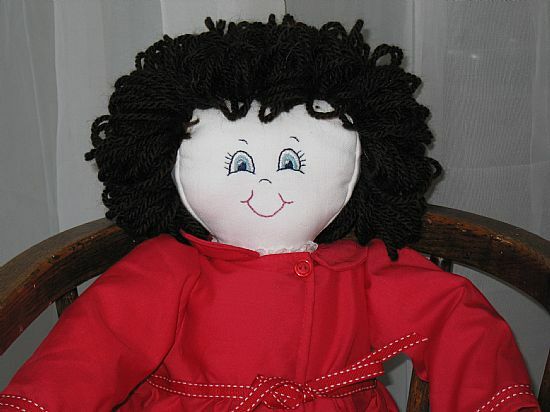 This handmade Rag Doll has a beautiful hand embroidered face with a unique edition number written on her foot. 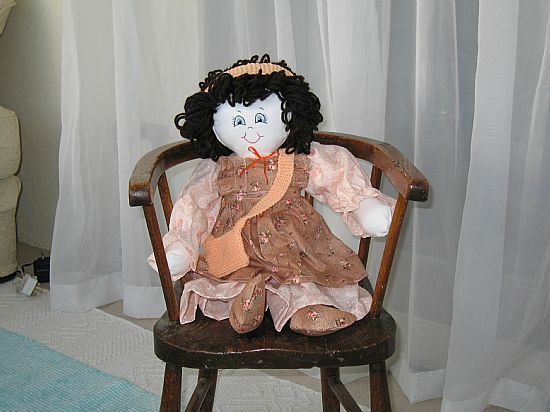 The doll includes a dress, bloomers, apron and shoes. Each unique doll is named and recorded in our doll register. 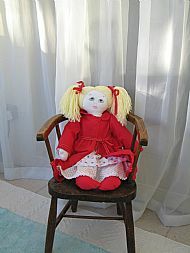 This is an exceptional rag doll that would make a superb gift for Christmas, Birthdays, Christening or Baptism. 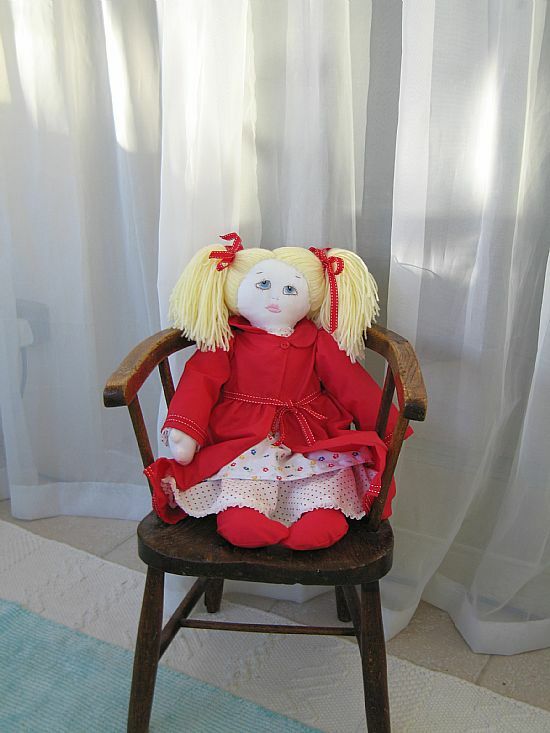  Doll’s bodies are made of soft fabric, hand wash only. Hand made at Millhouse, Lyness, Orkney, KW16 3NU.